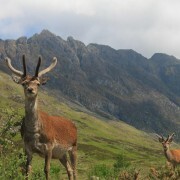 Glencoe’s wildlife can be as spectacular as its mountains. 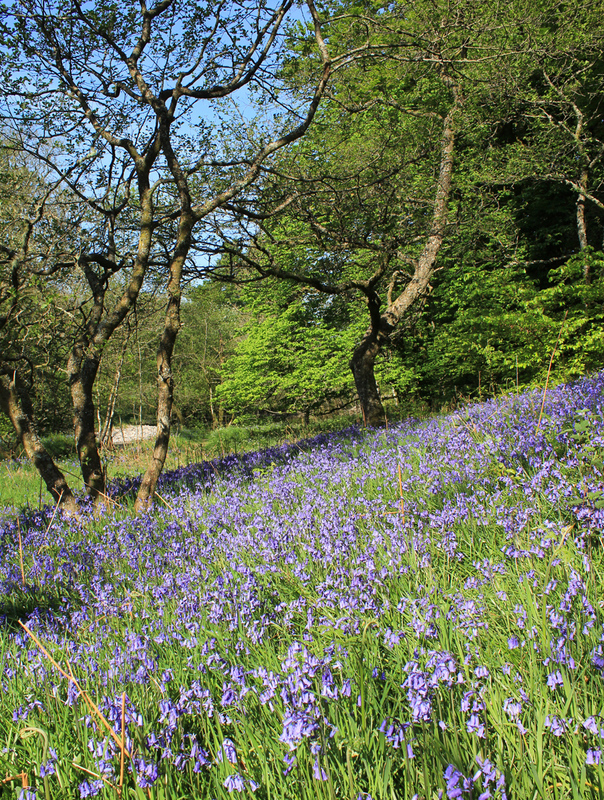 No matter what time of year you visit, and whether deep in the glen or high on the moor , take a while to stop and look, and you’ll be amazed by what you see. 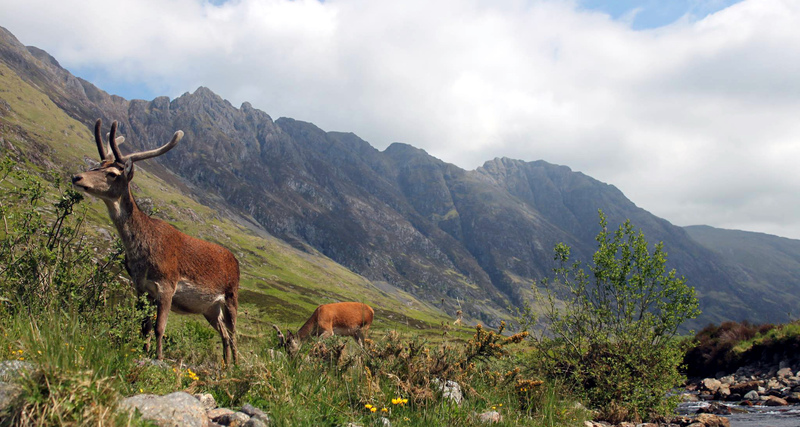 Approach Glencoe via the A82 over Rannoch Moor and chances are that you’ll spot some wild red deer, especially in winter when they come down to the roadside for the salt. 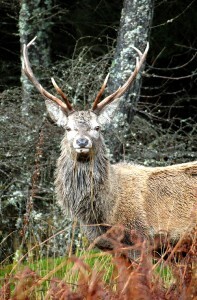 However, head through the Lairig’s walk and chances are it won’t be too long before you spot a grazing herd. 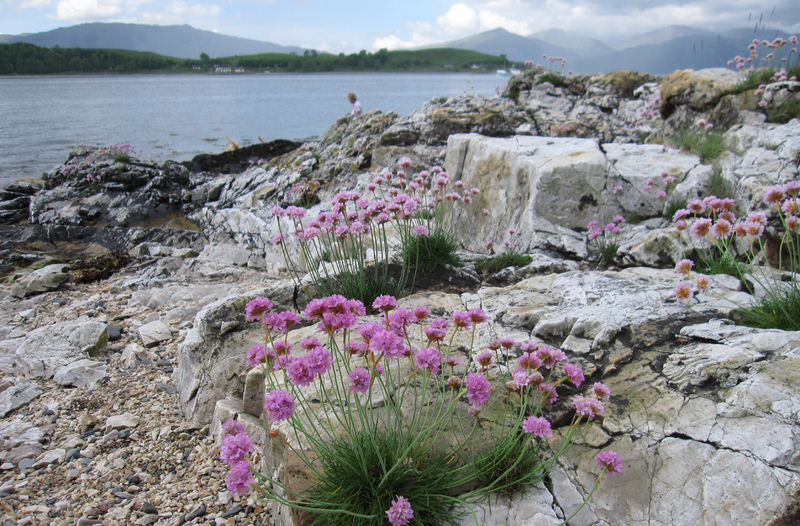 Cast your eyes skywards and you may be lucky enough to spot Golden Eagles soaring overhead. 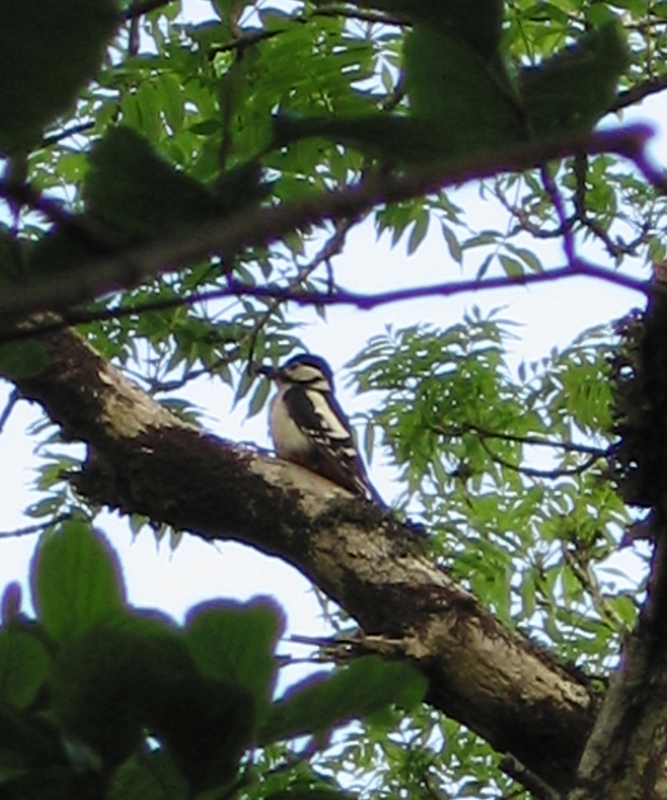 Or head down towards Ballachulish, and if you look carefully you might spot a huge heronry, as the tree branches sway under the weight of these gangly birds. 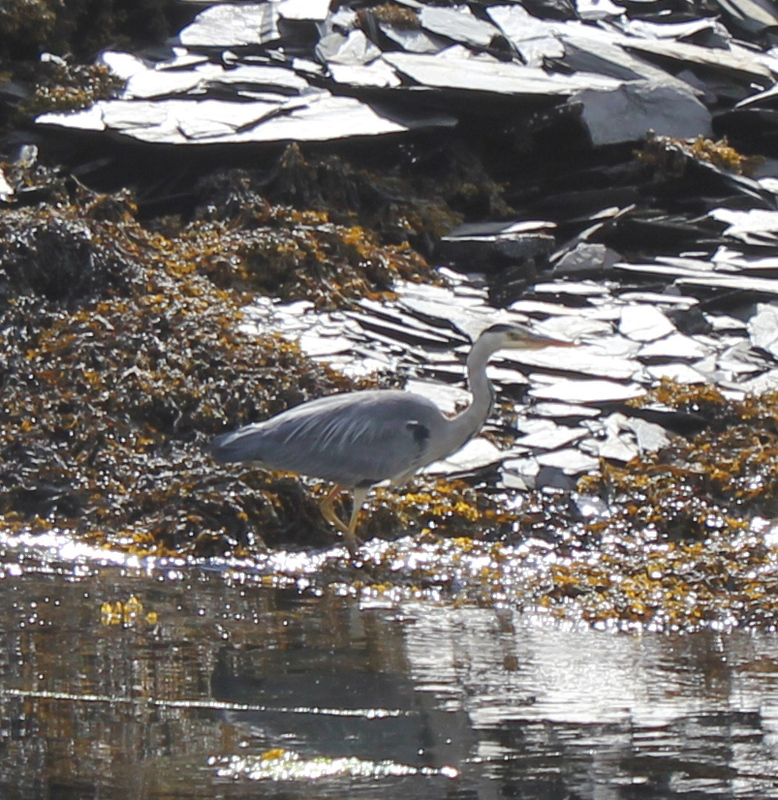 Herons are often to be spotted at the shoreline as they stand perfectly still waiting for their lunch. 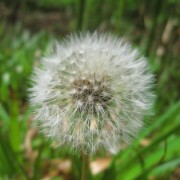 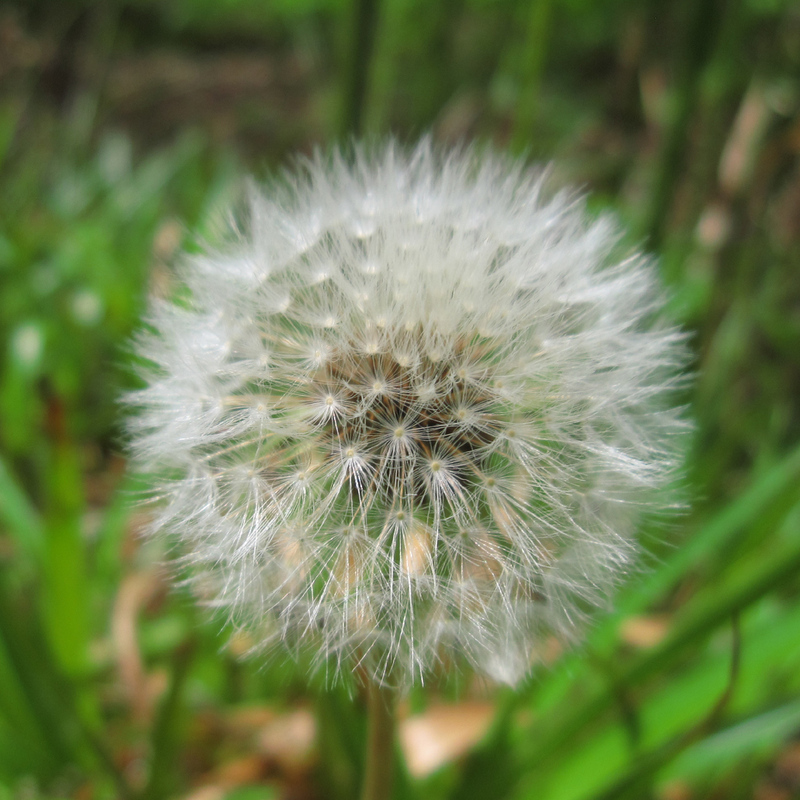 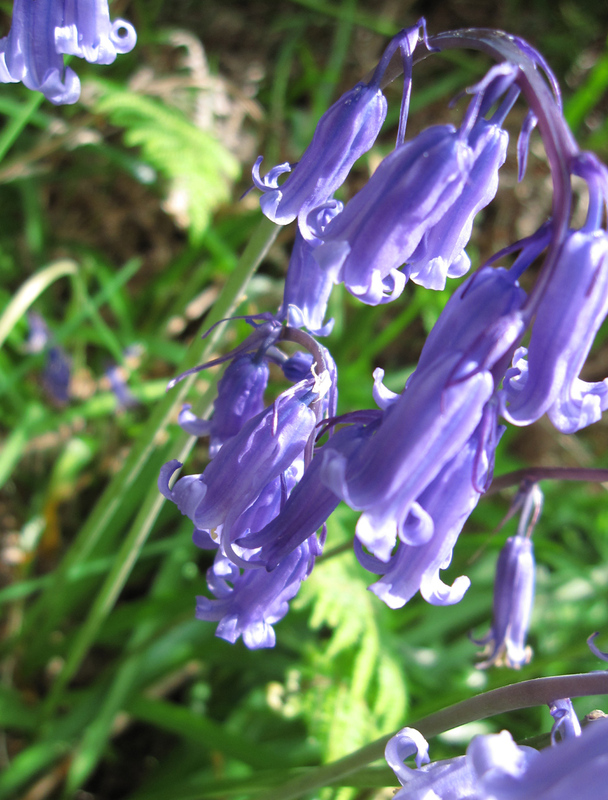 Wild flowers are abundant in the spring. 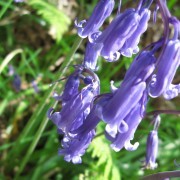 Catch the bluebells down by the river Coe or at St John’s Church in Ballachulish for a superb photographic opportunity. 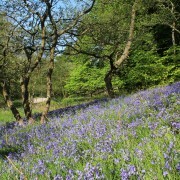 And the ‘Yellow on the Broom‘ is another common site in the lower glen. 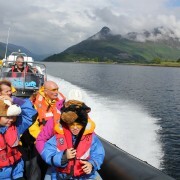 The fist port of call to learn more about the wide diversity of bird and wildlife, and flora and fauna in Glencoe, is the National Trust for Scotland Visitor Centre. 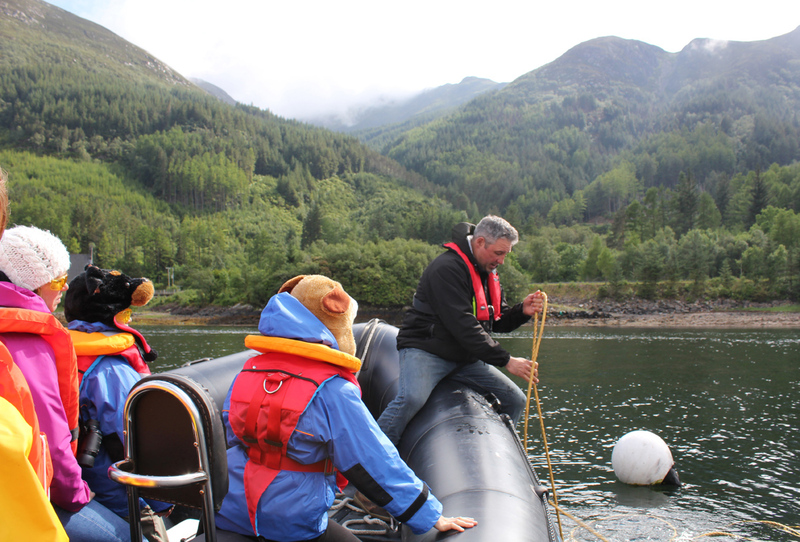 Open year round (some restricted hours in the winter) and conveniently located just off the A82 on the approach to Glencoe village, you’ll find interpretive displays and further information. 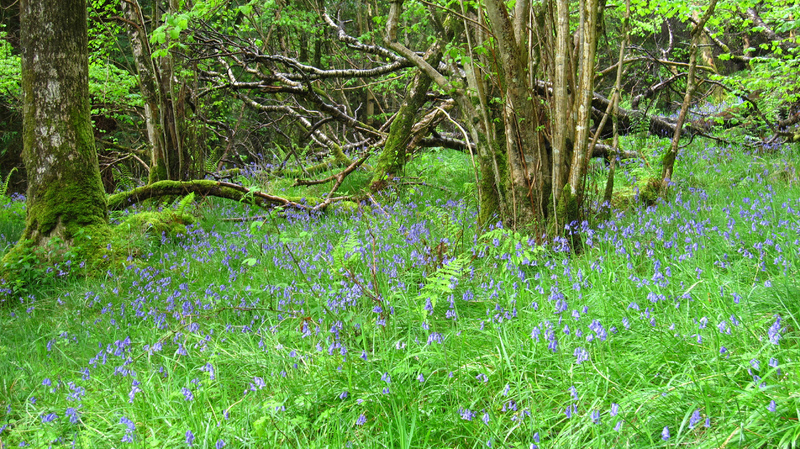 The NTS Rangers also organise a number of activities such as Woodland Walks or Wild Flower Walks which are excellent for learning more about these particular subjects at the same time as providing an enjoyable activity. 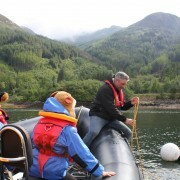 Equally, join one of their popular Landrover Safaris for a guided tour of the further corners of the glen. 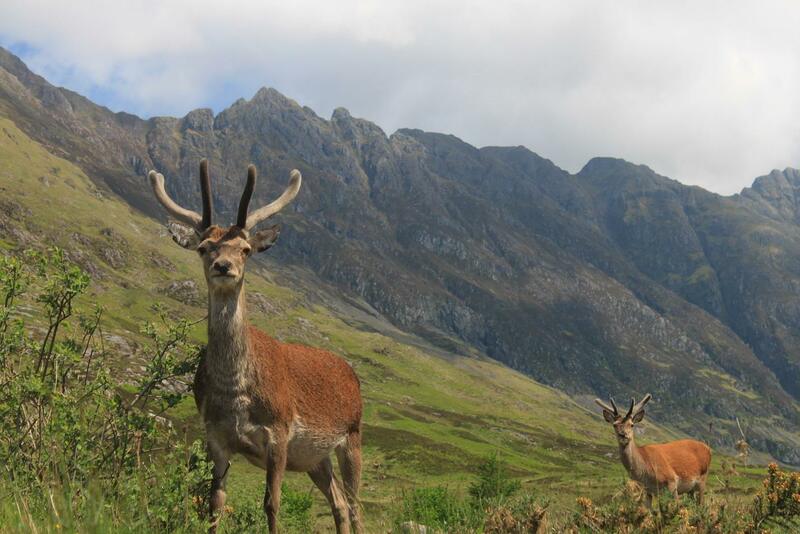 For more information see our What’s On pages for monthly listings, call in at the Glencoe Visitor Centre, or give them a ring on 0844 493 2222. 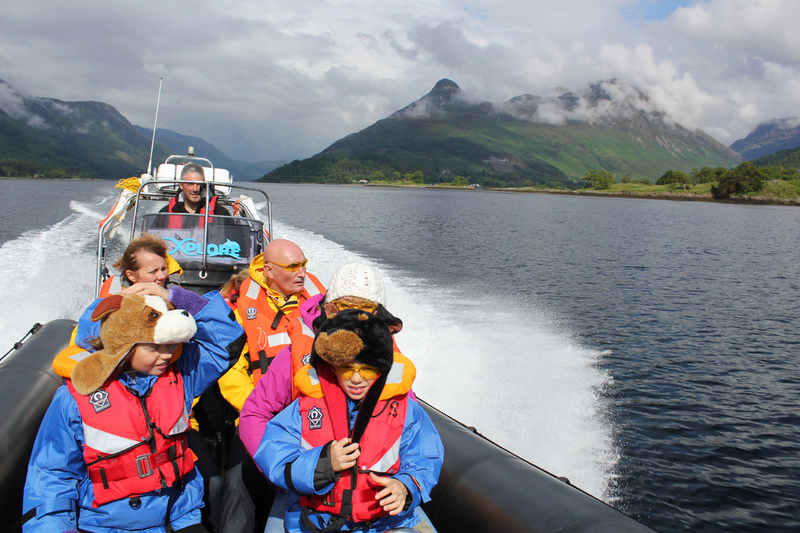 Taking a fast rib ride on SeaXplorer, based on Loch Leven, is not only an exhilarating bit of fun, but also provides an excellent opportunity to get closer to much of the wildlife that lives around (and in) our waters. 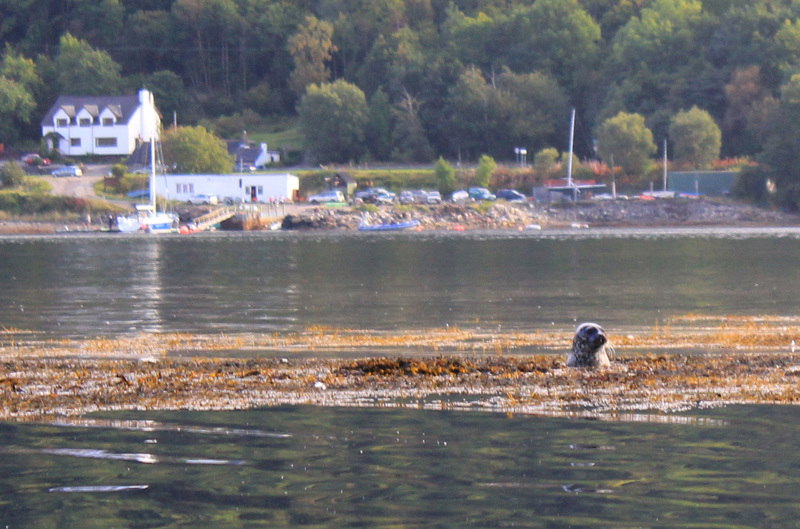 Accredited as wildlife safe operators, they know the best locations for observing birds and seals and can also provide an overview of the fascinating history of the area. 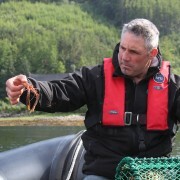 And be prepared to pull in a creel and see what the ‘catch of the day’ is! 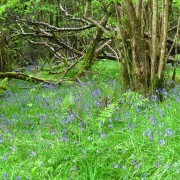 Bluebells by the river Coe. 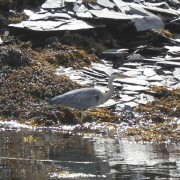 Common heron - a common sight down by the shores of Loch Leven. 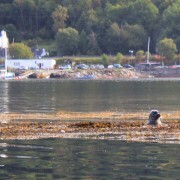 Seals on Loch Leven. 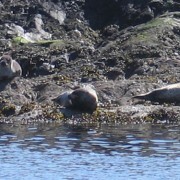 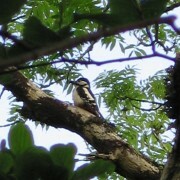 Hard to spot from the shore, but easy to watch without disturbing them from a boat. 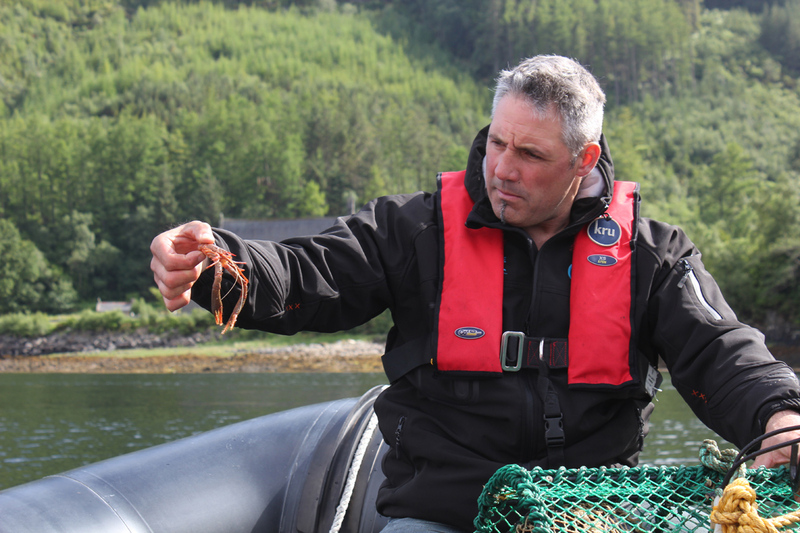 Wonder what we've caught today? 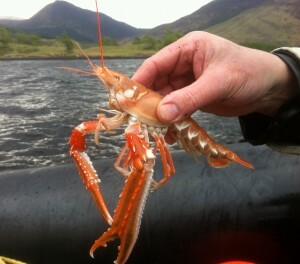 It's a squat lobster - but don't think it's going to feed us all. 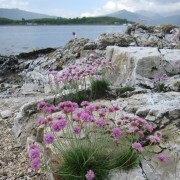 Head down to the shoreline - a great place to go exploring. 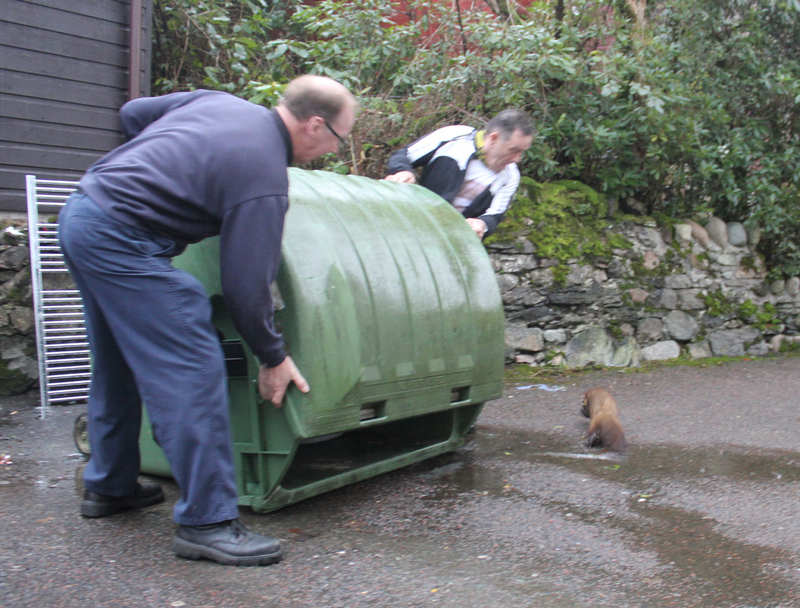 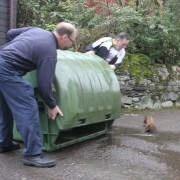 This pine marten was discovered exploring the bins, but was set free before the refuse collection lorry came.